Hi all :) Today we will be showing you the recipe for our Soothing Liquid Body Wash which combats eczema. For those with eczema, it is important to maintain the natural oils of the skin and keep it moisturised. In our soothing body wash we have coconut liquid soap base, which is a great moisturiser and conditioner. 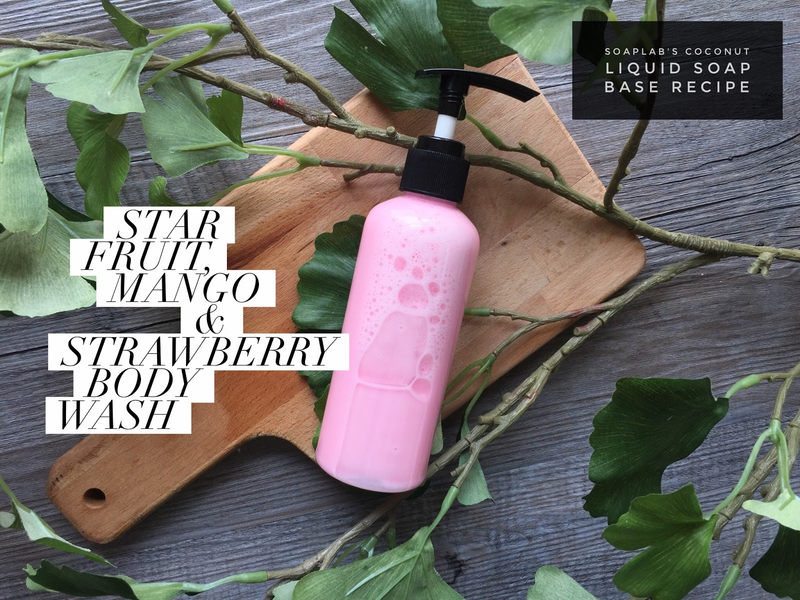 Next we have strawberry extract which is an antioxidant to soothe and refresh our skin as well as calamine powder which helps with the soothing and calming effect. A key ingredient is the basil mint sage essential oil which has all the components to combat the effects of eczema. Basil improves dull skin tone, sage has antiseptic and anti-inflammatory properties, and mint gives one a cooling sensation and an antimicrobial. Eczema causes the skin to be inflamed so these ingredients will be great after a long day with itchy skin. Finally our Soothing Liquid Body Wash has less Essential and Fragrance Oils than our usual body wash products to accommodate the healing of eczema. The body wash is neon pink, making it an exciting purchase for your customers.